The Donum Estate (Donum translates from the Latin to “gift” and refers to grapes as a gift of the land) is devoted solely to Carneros estate Pinot Noir, Chardonnay and a Russian River estate Pinot Noir. Winegrower and President, Anne Moller-Racke, arrived in 1981 to help run Buena Vista which had been acquired by the German company, Racke. Anne had trained with industry icons like Andre Tchelistcheff. She planted what was then Tula Vista Ranch in 1989-90, and was the Vineyard Manager for Buena Vista Carneros for many years. She played an instrumental role in obtaining appellation status for Carneros and the formation of the Carneros Quality Alliance. With the sale of Buena Vista to Allied Domecq in 2001, Anne and Markus Moeller-Racke divorced, and Anne then split off 147 acres of the Buena Vista Estate, retaining Tula Vista Ranch but renaming it which became an ultra-premium producer of Pinot Noir and Chardonnay. 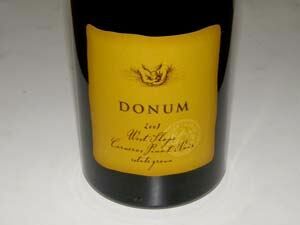 The Donum Estate also grew grapes for the rejuvenated Robert Stemmler label. 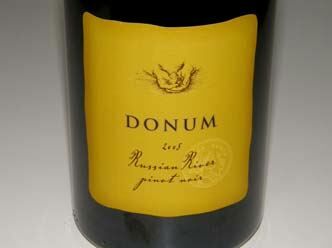 The true origins of a certain Pinot Noir selection in the Donum Estate Vineyard are unknown and the selection has become known as the Donum “clone.” It is presumably a Roederer selection. 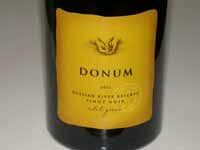 The Donum Vineyard also contains several other clonal selections including Calera, Hanzell, Swan, Calera, Chalone and Dijon 115, 667 and 777. Donum also farms the nearby Ferguson Block Vineyard, planted to Martini clone in 1974 by Thomas Ferguson. 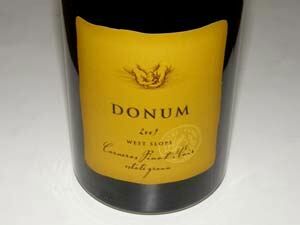 Upon acquiring The Donum Estate, Anne began an intensive rehabilitation of the vineyards. All blocks were individually and carefully farmed, and each vine hand-worked to reach its greatest potential. Only special blocks were considered for designated bottling. 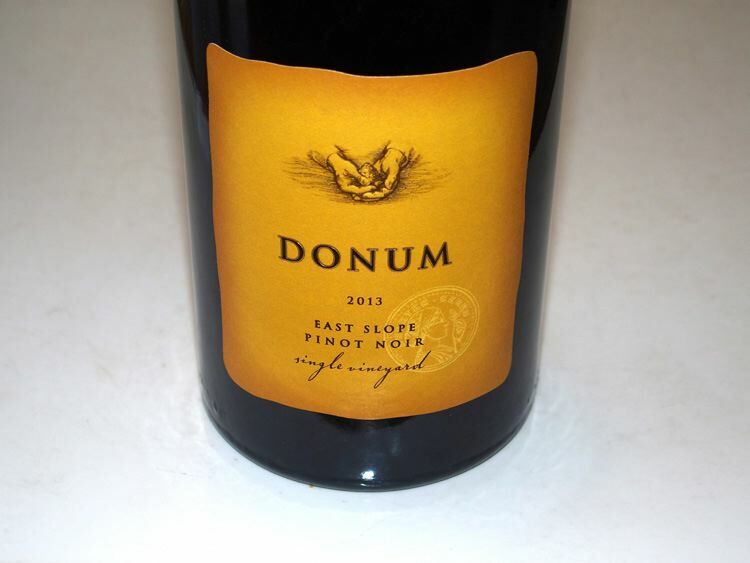 Special bottlings from the Donum Vineyard include West Slope, East Slope (Calera) and from Ferguson Block Vineyard labeled Thomas (Martini). These wines are in my opinion among the best Pinot Noirs produced today in California. 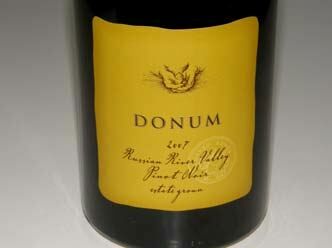 The consulting winemaker for The Donum Estate and Robert Stemmler beginning in 2005 was talented, young Kenneth Juhasz, who also crafts wine under his own label, Auteur. 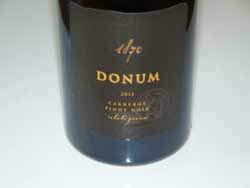 The first release of The Donum Estate Carneros Pinot Noir was 2001. Juhasz has given way in 2012 to his assistant winemaker of five years, Dan Fishman. The vineyard manager is Lauro Servin. 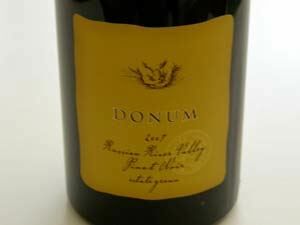 In late December, 2011, Racke sold The Donum Estate to Winside, Inc., a partnership of Danish investors for an undisclosed amount. The investors were headed by Allan Warburg, a wealthy Burgundy lover. The deal included a 147-acre Sonoma Carneros property with 45 acres of vineyards and several buildings, the Donum and Stemmler brands, and inventories. 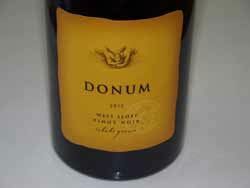 Donum's potential for more estate plantings and bottlings was a consideration in the investment. 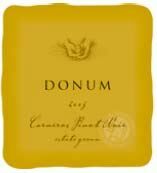 The acquisition keeps in place the team that developed The Donum Estate over the past decade including Anne Moller-Racke and consulting winemaker Kenneth Juhasz. 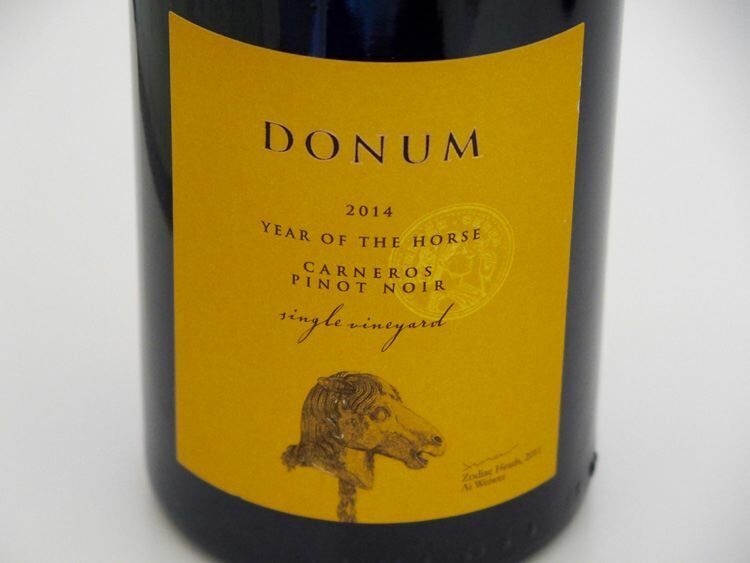 Donum will continue to make estate grown Pinot Noir from the 16-acre Nugent Vineyard in the Russian River Valley which Anne has farmed continuously since planting it to Dijon clones in 1997 (Pommard was added in 2009). The Nugent Vineyard was acquired in 2012 and re-named Winside Vineyard. An exclusive lease was contracted for the 20-acre Angel Camp Vineyard in the Anderson Valley in 2012 as well. With the infusion of capital, a 40-acre parcel adjacent the Donum Estate was acquired and was planted primarily to the Donum clone (named Lawler Vineyard), and plantings at the existing Donum Estate property are being expanded to the Pommard clone which was previously absent at the Donum Estate. About 14 acres of the Donum Estate have been replanted to Pommard, Calera, Wädenswil and Dijon 667 Pinot Noir clones and Wente Chardonnay clone. In 2017, Donum was situated on 200 acres overlooking the marshes of San Pablo Bay, along with ownership of a vineyard in the Russian River Valley. The estate is now graced with new landscaping and artwork including sculptures by well-known artists. A new 10,000-case winemaking facility, cellar and hospitality center is in the works, with construction to begin in the summer of 2017. The tasting room will open in 2017 and the winery is scheduled to take on the 2018 harvest. Tours and tasting are available by advanced reservation. A beautiful sculpture garden has been added to the estate featuring sculptures from renowned international artists The wines are sold through a mailing list and the website with limited retail distribution. Current production is about 3,000 cases, and the winery's second label, Robert Stemmler, accounts for about 6,000 cases. The wines have been produced at Punchdown Cellars in Santa Rosa.